The Iranian-aligned Houthi movement and the Saudi-backed government of Abd-Rabbu Mansour Hadi were still discussing a United Nations proposal on the contested port city of Hodeidah, a lifeline for millions of Yemenis facing starvation. Hadi’s premier, Maeen Abdulmalik Saeed, told reporters in the government’s base in the southern port of Aden that there might not be enough time for full agreement on Hodeidah as the talks, the first in over two years, conclude on Thursday. “We talked about (it) a lot but with the limited time we have, we can’t talk about all the points in this round. The important thing is to build confidence and then go into the details of the Hodeidah file,” he said. U.N. Secretary-General Antonio Guterres was due to attend the final day of talks to support efforts to launch a political process that would end the nearly four-year-old war. Gueterres called Saudi Arabia’s Crown Prince Mohammed bin Salman to discuss Yemen, Saudi state news agency reported. Another round of talks could be held in early 2019. The Houthis hold most population centers, including Hodeidah and Sanaa from which it ousted Hadi’s government in 2014. A U.N. spokeswoman said both parties had received a “final package” of agreements covering the status of Hodeidah, Sanaa airport. “We hope to receive positive responses,” she said. 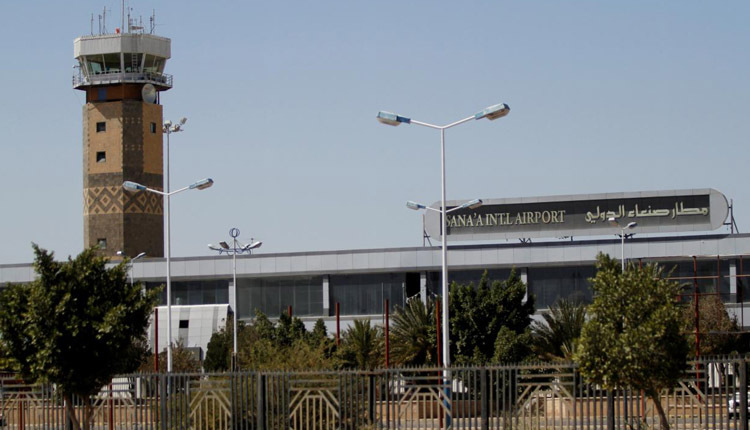 The two parties agreed that international flights would stop at a government-held airport for safety s to be carried out before flying in or out of Sanaa, two sources familiar with the talks said. Houthi delegate Abdelmajid Hanash said international flights from and to Sanaa would stop in Aden and the airport in Sayun in the south, but the U.N. would oversee the safety procedures. The U.N. declined to comment. As part of confidence-building measures, both sides agreed to resume oil and gas exports to help shore up central bank coffers. Revenues would be used to pay salaries in both government and Houthi-held areas, delegates from both sides told Reuters. The Saudi-led military coalition that intervened in the war in 2015 to restore Hadi’s government controls Yemen’s air space. The coalition has faced increased scrutiny from Western allies, some of which supply it with arms and intelligence, over the war that has killed tens of thousands of people. U.S. President Donald Trump told Reuters on Tuesday he could abide by legislation to end U.S. support for coalition forces in the war following outrage over the murder of Saudi journalist Jamal Khashoggi. The conflict is seen in the Middle East as a proxy war between Saudi Arabia and Iran, which welcomed peace efforts. U.N. envoy Martin Griffiths, trying to avert a full-scale assault on Hodeidah, where coalition forces have massed on the outskirts, is asking both sides to withdraw from the city. His proposal envisions an interim entity being formed to run the city and port and international monitors being deployed. Both sides have agreed to a U.N. role in the port, the entry point for most of Yemen’s commercial imports and vital aid, but differ on who should run the city. The Houthis want Hodeidah declared a neutral zone, while Hadi’s government believes the city should fall under its control as a matter of sovereignty. “The devil is in the details – withdraw how far (from Hodeidah), the sequence, who governs and delivers services,” said one diplomat, speaking on condition of anonymity. The sides have also yet to agree on a transitional governing body, although a deal was struck on a prisoner swap that could see 15,000 prisoners freed. A small group of Yemenis demonstrated outside the talks venue in Rimbo, north of Stockholm, waving the flags of former South Yemen in support of a separatist movement that is fighting alongside the coalition while trying to undermine Hadi’s government.